Pack them in! You're about to host the best local event of the season. Get your future guests' attention with the Bakersfield Invitation. Printed on high-quality card stock, this invitation's stunning imagery of a train pulling out of the station against a full-color background won't get lost in the mail! 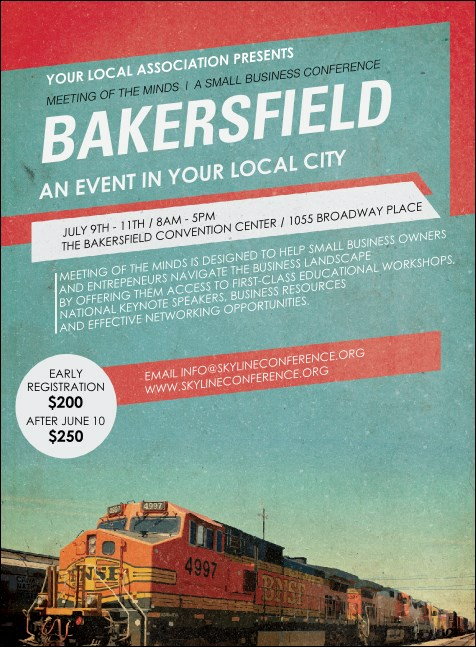 Beyond Bakersfield, there's a whole world of event collateral to discover at TicketPrinting.com.